4 Bedroom Semi Detached House For Sale in Barnet for Offers in the region of £999,999. Each of these new homes offer a superb high quality finish, secure underground basement parking and benefit from a 10 year NHBC guarantee. 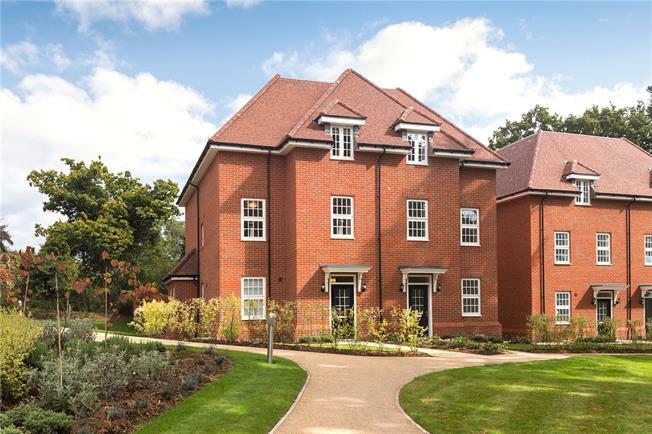 Reserve one of these properties for sale in New Barnet and tailor your new home for the day you move in. Choose from Linden's range of stylish kitchens, flooring and tiling as well as upgrade enhance options. Elmbank will consist of a stunning collection of new 1 & 2 bedroom flats for sale in Barnet and 3, 4 & 5 bedroom houses. Each of these new properties for sale in Barnet has been individually planned and will boast sleek designer kitchens, luxurious bathrooms and high specification throughout. Located in an enviable community offering easy access to retail, a choice of well-reputed local schools and excellent transport links, including London Underground access to central London in just over 30 minutes, these property for sale in Barnet represent the perfect balance of city and country living.